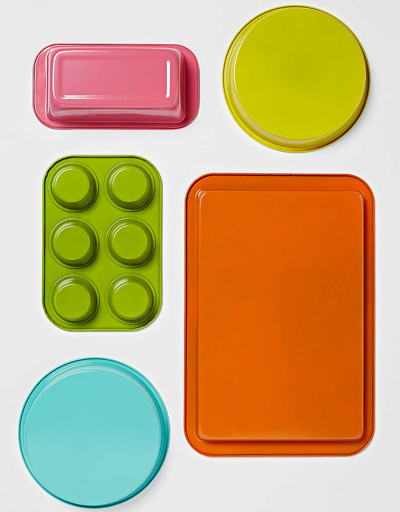 This bright + cheerful Colorful 5-Piece Bakeware Set includes all you need to get baking. Created from durable non-stick Xylan steel for high-quality results + easy clean up. $34. Buy here.